After 25 years, Highland Towers to be demolished | Daily Express Online, Sabah, Malaysia. Selangor: The Highland Towers that have stood abandoned for almost 25 years will finally be demolished for redevelopment and may be torn down as early as next month, Zuraida Kamaruddin said Friday.The Housing and Local Government Minister said the demolition will be at the discretion of the Ampang Jaya Municipal Council, which is currently handling all related technical matters such as the ownership status of units. "We are hoping that redevelopment projects could begin by December with the demolition of the remaining towers," she said after a social visit at PPR Kota Damansara, here. She said demolition works would start immediately after all technicalities concerning the site have been dealt with. According to the Malaysia Insolvency Department, there are a total 150 units spread across three towers, with 50 units in each tower. One of the three blocks of the Highland Towers condominium at Taman Hillview in Ulu Klang collapsed on Dec 11, 1993, killing 48 people. The condo has been abandoned since. On Sept 6, the ministry said in a statement that the Highland Towers Redevelopment Committee has identified the ownership status of a total of 148 units since it was formed in late June. 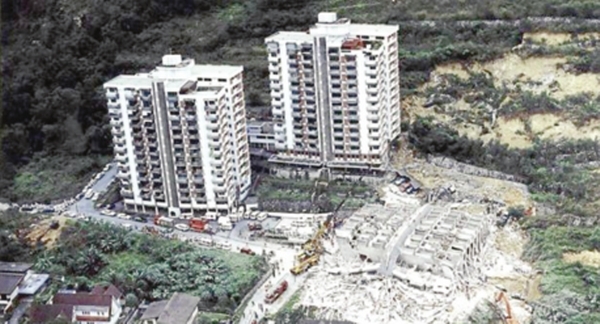 In August, Zuraida announced that her ministry planned to turn the site of the collapsed condominium into a recreational park. On Friday, she said the ministry was also studying policies concerning abandoned development projects. "There is a need to scrutinise existing procedure to simplify and quicken it for developers to take over similar to what have been achieved so far with the Highland Towers Redevelopment Committee by finding a solution since its formation in June," she said. She pointed out there were 82 abandoned projects in Selangor alone, and 59 of them have been taken over to be redeveloped through the State Government's white knight developer initiative by opening up abandoned projects to be "saved". "We want to cut down all these bureaucracies so we can clear all these 'eyesores' of incomplete housing projects," she said.